Whether you want to achieve a more muscular frame, or if you want to lose weight and tone up, the gym is the ideal environment to attain it. There are a huge amount of reasons why someone would get into the routine and in most gyms you will find a diverse mix of people, including senior citizens, teenagers, adults and those rehabilitating after an injury for example. Such a range of individuals means that the likelihood of at least one gym user falling foul of the unwritten rules is increased considerably. These are some of the examples of practices that are better off left behind when arriving to take part in your workout. You may have found yourself in a scenario in which you are trying to concentrate on your reps or your session on the treadmill, only to be getting distracted by the loud music coming from someone's headphones next to you. 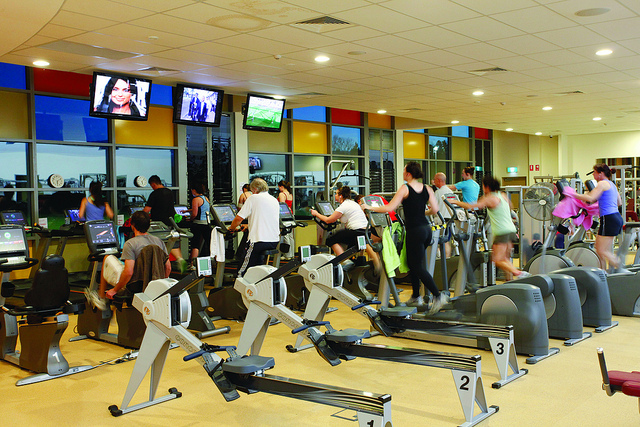 Gyms are generally lively places so this is relatively easily ignored but it is a different matter when your focus is compromised by a person broadcasting their part in a phone call for the whole place to hear. It is fine if you can appreciate that someone has to take an important call but when it can clearly be left for another time it is a definite irritation. There is a strong social element to gyms but loud conversations between people, usually because they are trying to talk over the sound of the machine they are using, leaves you wondering whether they are there simply so they can say they have been to the gym. The gym is a common place for germs to spread and you have to accept that to a certain extent. However, there is no excuse for coughing without placing your hands over your mouth or leaving a machine covered in sweat without wiping it down after you have finished. Although there are always plenty of people who have made a certain amount of effort with their appearance, even for the gym, there is a definite point where the line should be drawn. It is the kind of place to put your efforts into physical activity so there really is no need for masses of make-up. It is unlikely to look good after your session. The same applies to wearing aftershave or perfume. By all means push yourself to achieve as much as you can while you are working out but if the treadmill speed is too high or the weight is simply too heavy then it is a matter of safety to take it down a notch. It is also very off-putting to hear someone groaning loudly or slamming their weights down. It should be unthinkable for you to go to the gym without making sure you are as clean as possible and swearing or telling rude stories is probably best saved for later. David Andrew is a qualified personal trainer and teaches a range of group classes at his local gym. He buys his attire from Ript Clothing.